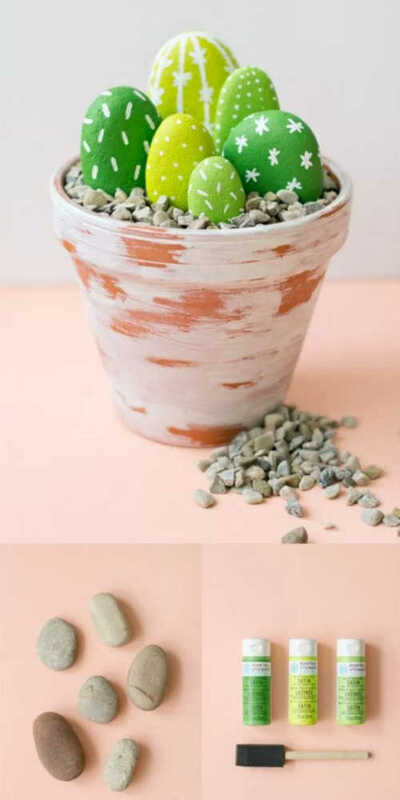 Need a quick project to add some happiness to your home? 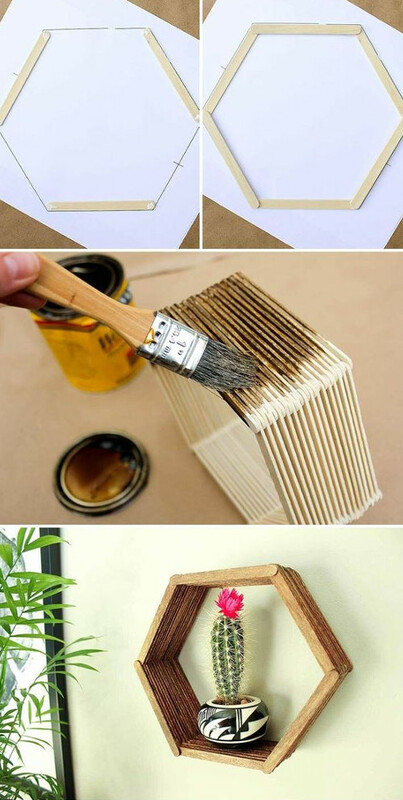 These diy home decor projects are simple, inexpensive, and can be done in a day. If your in need of a basket but don't want to spend the money, just make a faux basket by gluing rope to the outside of a cardboard box. Use an old pillow case as a liner and store all your clutter inside. 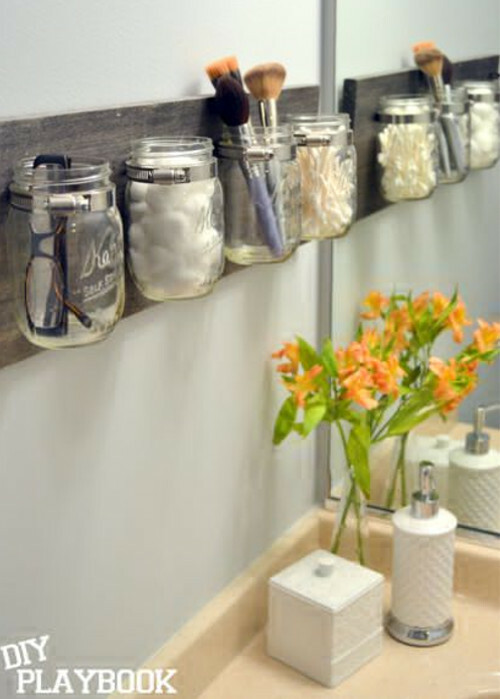 If you love mason jars then you'll love this mason jar bathroom organizer. Not only does it look great but it will add extra storage to your bathroom. 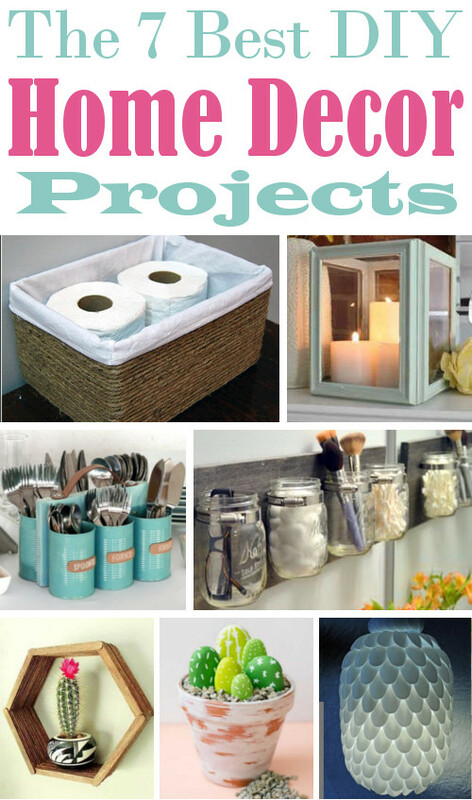 Do you have a favorite home decor project that you made? 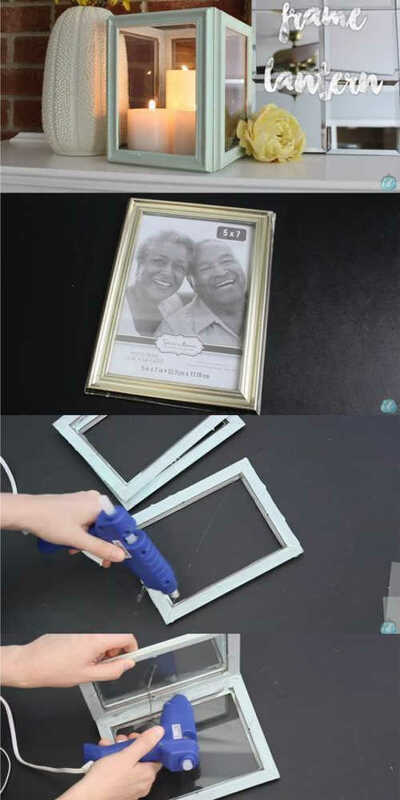 Share your photos on the DIY Home Sweet Home Facebook page. I love seeing new ideas and may even share them on the blog.